I want to create a dataset of estimated values using inverse distance weighting. I am starting with a dataset of daily values of measurements for specific coordinates. I created a model (below) which iterates through daily values and creates raster layers of interpolated values (IDW tool). Then, values from a set of specific coordinates are extracted from each raster later and are output as a table (sample tool). 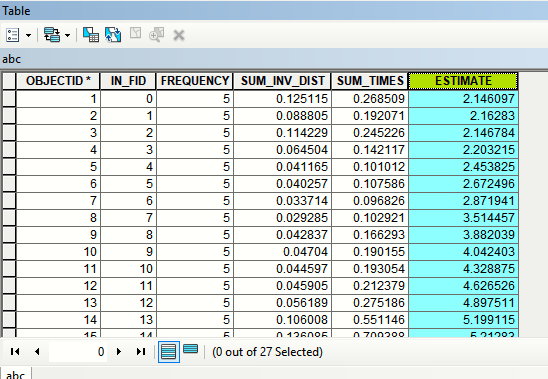 Finally, tables are converted to .xls and I will use a different data management software to complete the final merge. As far as I can tell, this model works. But, it takes some time and I have three decades worth of daily measurements to run this for. How can I make this model more efficient? -delete the intermediate raster and info table files after they have been converted to .xls --> i tried selecting "delete intermediate data" but files weren't deleted. -use the batch option to run this model in batches by 1..5..10 years. Compute inverse distance (in unlikely case convert 0 near distance to 0.00001), note you have to do it just once. 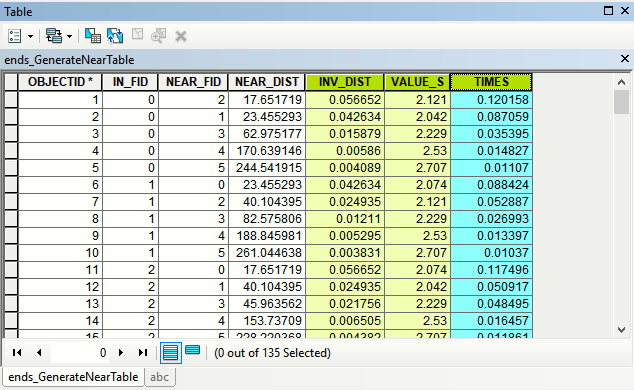 Use join by attributes (NEAR_FID) and bring observed values into 2nd highlighted column. Compute 3rd column as INV_DIST*VALUES. I rarely use models but with Python this is a very simple task to code. Not the answer you're looking for? Browse other questions tagged arcgis-desktop modelbuilder inverse-distance-weighted or ask your own question. Interpolating multiple years of daily precipitation data to generate daily time series?